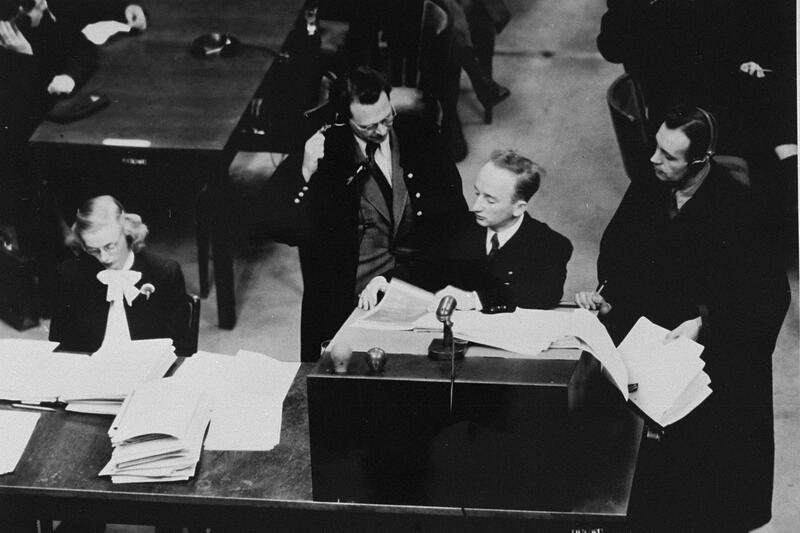 Ben Ferencz (last living prosecutor from Nuremberg): "NUREMBERG TRIALS: Its Impact on International Jurisprudence And Contemporary Human Atrocities." Ferencz comes to Duke for a dialogue with his son, renowned international lawyer, Don Ferencz, and Dean of Case Western School of Law, Michael Scharf. Benjamin Berell Ferencz was an investigator of Nazi war crimes after World War II and the Chief Prosecutor for the United States Army at the Einsatzgruppen Trial, one of the twelve military trials held by the U.S. authorities at Nuremberg, Germany. Later, he became an advocate of the establishment of an international rule of law and of an International Criminal Court. Donald Ferencz is the founder and convenor of the Global Institute for the Prevention of Aggression and a co-organizer of the worldwide campaign to ratify the 2010 Kampala amendments to the ICC Statute. Ferencz was a contributing author to the 2012 Handbook on the Ratification and Implementation of the Kampala Amendments to the Rome Statute of the International Criminal Court. Michael P. Scharf Michael Scharf is Dean of the Law School at Case Western University, Director of the Frederick K. Cox International Law Center, and co-founder of the Public International Law & Policy Group, a Nobel Peace Prize-nominated NGO which provides pro bono legal assistance to developing states and states in transition.